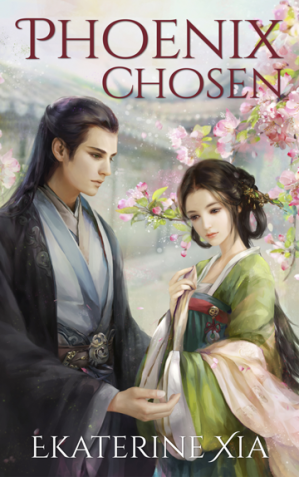 A fantasy set in dynastic China. When a spell saves her life by sending her to her mother’s homeland, Estyria finds herself in a world she’d believed to exist solely in bedtime stories – a realm where gods walk the earth, magic is real, and political intrigue strikes close and hard. As Scion to a noble House and caught in a competition for the throne, she has mere weeks to learn to navigate the murky waters of court and tangled loyalties. More than a crown and the well-being of a country is at stake. Two men are bound to her by destiny and their fates depend upon her choice. Sethalor, who holds secrets and memories lost to her, vows to defy the very gods to keep her safe. Aedrian, who agreed to protect her out of love for his prince, but comes to see in her a ruler he would give his soul to protect. Through assassinations, poison, and shifting alliances, can Estyria keep the realm, her heart and the people she loves safe?